Useful campaign last year, including two wins at Sandown, most notably in the Select Hurdle on the final day of the season at Sandown. A relatively lightly raced 5yo, with so few miles on the clock, may have more to offer in this closely run affair. Strong claims for an in-form trainer. Three runs this season, two of which he finished second to two useful winners, including Nicky Henderson-trained Verdana Blue. Finished a creditable third in the Greatwood Handicap Hurdle on Sunday just gone at Cheltenham with a good claimer on board, and that could of made the difference. Still holds every chance if Bryony Frost is back in the saddle, and one for the shortlist. Another for the Champion Trainer, and another for Simon Munir and Isaac Souede, We Have A Dream returned with a fine third behind Verdana Blue in the Unibet Elite Hurdle at Wincanton recently, although that did sadly bring an end to a five-race unbeaten run. He will almost certainly build on from that, having kept on at the one-pace in the closing stages, and definitely looks a leading contender here. Distant last in a three-runner field at Exeter latest, on his first start for a new yard. Not really too much that catches the eyes, and might be one to draw a line through. 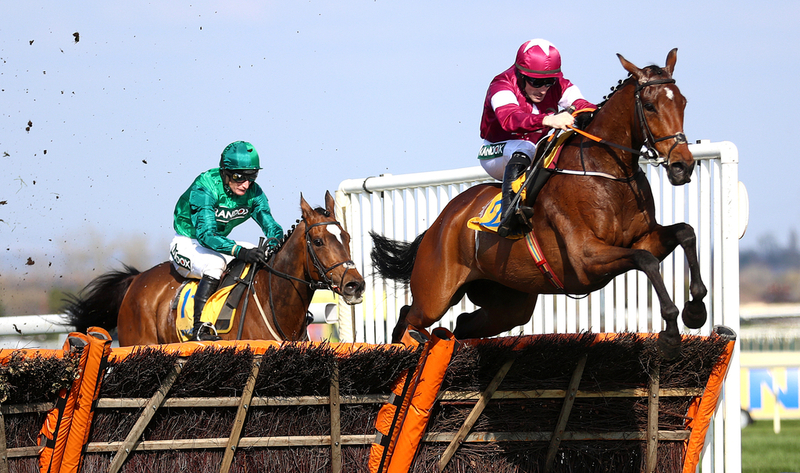 One of last season's top novice hurdlers, he finished second in the Unibet Elite Hurdle behind Verdana Blue (We Have A Dream 2nd) at Wincanton, on his first start of the new season. Another promising season beckons, and is surely Paul & Clare Rooney's best chance of success this season. Steps up to this distance for the first time, and hard to know at this stage if that is a positive. Off the track for some time, his best form has come in Class 3 and 4 events. His final start of last season was in a Class 2 at Sandown, where he finished fifth but a distance behind the winner Silvershow. Major ground to make up with the market principles. Trainer won the BetVictor Gold Cup at Prestbury Park last weekend with Baron Alco, and has another chance of big race success with Sussex Ranger. Switching from the flat to hurdles last term, he showed some distinctive promise, notching up a couple of wins at Sandown and Fontwell. Much more suited to jumping obstacles than running on the flat, but disappointed here in Listed company at the beginning of the month. Another train relishing big race success, after Definitly Red won the Charlie Hall recently, Brian Ellison sends Tomngerry to post, who has been off since April. After a few mistakes in the jumping department, Ellison sent Tomngerry back to school in a NH Flat Race at Southwell in March, where he got the winning feeling back. However, he unseated on his next and most recent start at Ayr, and needs to correct those costly errors to have any real chance.